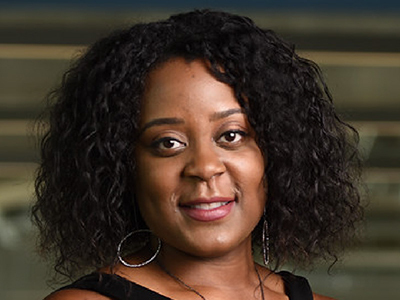 Dr. Nashlie H. Sephus leads the Amazon/A9 visual search tech team, which recently launched visual search for replacement parts on the Amazon Shopping app. This technology was a result of former startup Partpic (Atlanta) being acquired by Amazon, for which she was the Chief Technology Officer (CTO). Prior to working at Partpic, She received her PhD from the School of Electrical and Computer Engineering at the Georgia Institute of Technology in 2014 and worked for a year with Exponent technical consulting firm in New York City. Her core research areas were digital signal processing, machine learning, and computer engineering. She received her B.S. in Computer Engineering from Mississippi State University (2007). Dr. Sephus is a native of Jackson, Mississippi and a 2003 graduate of Murrah High School/Power Academic and Performing Arts Complex (APAC). She’s had several internships and research experiences worldwide with companies such as IBM, Delphi, University of California at Berkeley, GE Research Center, GE Energy, Miller Transporters, and Kwangwoon University in Seoul, South Korea. Recently, Dr. Sephus became founder and CEO of The Bean Path non-profit organization based in Jackson, MS assisting individuals with technical expertise and guidance. During her leisure time, she enjoys playing tennis, playing the piano, listening to music, bargain hunting, biking, and working on do-it-yourself (DIY) projects at home.